The laboratory has been coordinated by Dr. Paulo Ferreira and Dr. Adriana Hemerly since its foundation in 1997. 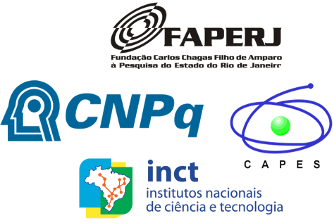 The laboratory has participated in graduation programs and postdoctoral collaborating with researchers from UFRJ and other institutions. The main researches areas are the aspects of plant biology as cell cycle, development and small RNAs. Paulo Ferreira holds a degree in Agronomy from the Universidade Federal Rural do Rio de Janeiro (1982), Masters in Genetics, Universidade Federal do Rio de Janeiro (1985), PhD in Biotechnology by Rijksuniversiteit Gent, Belgium (1994) and post-doctorate in Plant Genomics Cold Spring Harbor Laboratory, USA (2006). He is currently Associate Professor at the Universidade Federal do Rio de Janeiro. Adriana Hemerly holds a degree in Biological Sciences Bachelor of Genetics from the Universidade Federal do Rio de Janeiro (1987), PhD in Biotechnology - Rijksuniversiteit Gent, Belgium (1994) and Post Doctorate in Molecular and Cell Biology - Cold Spring Harbor Laboratory, NY (2007). She is currently Associate Professor at the Universidade Federal do Rio de Janeiro. Created by Diogo Munaro Vieira at Cybernet 2013 | LBMP all rights reserved.